The appointment was confirmed on the eve of the UN’s International Day of Women and Girls in Science which aims to ensure full and equal access to and participation in science for women and girls. 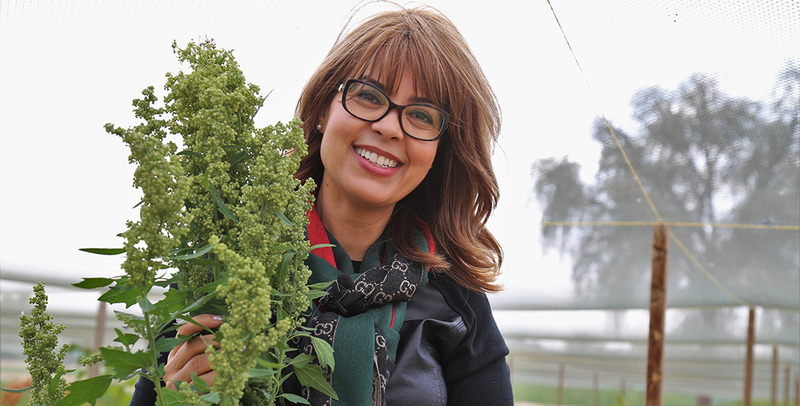 Dr. Elouafi, Director General of the International Center for Biosaline Agriculture (ICBA), brings over 15 years’ experience in agricultural research to the role. Her work at ICBA has included initiatives to empower women in science through different programmes such as the Young Arab Women Scientists Leadership (Tamkeen) program. A holder of a PhD in Genetics (Cordoba University, Spain), Dr. Elouafi has also worked as a scientist with several international research organizations such as ICARDA (International Center for Agricultural Research in the Dry Areas), JIRCAS (Japan International Research Centre for Agricultural Sciences) and CIMMYT (International Maize and Wheat Improvement Center) as well as previously leading the Research and Partnerships Division at the Canadian Food Inspection Agency (CFIA). Dr. Elouafi – also listed by CEO-Middle East Magazine as one of the World’s 100 Most Powerful Arab Women in Science – said: “It is an honour to join the CABI Board which already has an impressive array of talented and influential figures from across the world of science and industry all working towards its mission of helping to solve problems in agriculture and the environment. Dr. Elouafi has a passion for science, its management and integration with policy. She advocates science at the heart of decisions and development plans where this can lead to greater efficiency and help alleviate discrimination and policy. Dr. Elouafi is also the recipient of many international awards including the Excellence in Science award from the Global Thinkers Forum (2014) and the National Reward Medal by his Majesty Mohamed VI, the King of Morocco (2014).